Prior to reading this novel I had never read any Zora Neale Hurston, but heard great things. 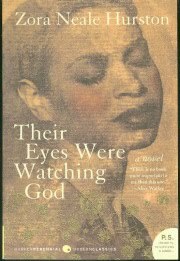 I chose Their Eyes Were Watching God because I felt like this is one of those books I should read before I die, an American classic. Also, it's a banned book and since this week is Banned Books Week, it's my way of celebrating. This novel tells the story of Janie, a light-skinned African American woman living in the south during the early 1900's. Hurston details Janie's struggles against patriarchy and her continuous search for happiness over 30 years and uses two distinct voices to relate the story; that of the lyric narrator and the voices of the characters, who all speak in a thick southern dialect combined with the black vernacular. "Daisy, you know mah heart and all de ranges uh mah mind. And you know if Ah wuz ridin' up in uh earoplane way up in de sky and Ah looked down and seen you walkin' and knowed you'd have tuh walk ten miles tuh git home, Ah'd step backward offa dat earoplane just tuh walk home wid you." Ships at a distance have every man's wish on board. For some they come in with the tide. For others they sail forever on the horizon, never out of sight, never landing until the Watcher turns his eyes away in resignation, his dreams mocked to death by Time. That is the life of men. Structure and language aside, the overall story Hurston tells is insightful and still relevant today. She explores gender roles and examines race in terms of its cultural construction and how ideas of race are spread. Or course it's a coming of age story, but its more than that. Hurston stresses the power of believing in yourself and discovering your own truths. Janie triumphs over the limitations of patriarchy, race and poverty by never losing sight of who she was and what she wanted. This isn't in my top ten of American classics, but it is a satisfying read. I found this book on Flashlight Worthy's list of Literary Thrillers for Book Lovers. Well, it was less literary than I'd hoped, and the "thriller" was more of a subdued mystery that detailed a long lost Melville manuscript. While the book-lover in me liked the details of the novel and its incorporation of all things bookish, I thought that the overall story was lacking. For one, it was about 100 pages to long. I realized I was halfway through the novel and still waiting for something to happen. Hay takes much to long to set up a plot that climatically disappoints. I'm all for a lengthy exposition if the rest of the novel delivers. This one did not. Throughout the ladder half of the novel I found myself reading quickly and intently so I could find out how it ended and so it would do just that; end. I hadn't wasted 300 pages just to put the book down and not find out if the Melville manuscript existsted and the story behind it. So, in that regard, the novel was somewhat "flashlight worthy". But, I've now learned that "flashlight worthy" isn't synonmous with "a great book". As far as mysteries go, this one was set up just fine, and was made more exciting because it revolved around stolen manuscripts and famous american authors and their secrets, but the execution was lacking. Certain details didn't add up, like why didn't Rosemary read the shred of paper from the letter before she destroyed it? She had weeks! Like I said, the only thing that made this book tolerable were the literary references, which I enjoyed. It was my own fault. The fault of a girl who had loved the likes of Pip, Darcy, Knightly, Mr. Rochester (all the usual suspects) without genuinely registering their common quality - they were fictional. Other than these details that made me smile and the fact that most of the story took place in a fabulous bookstore, I wasn't impressed. I should also mention that while this particular book wasn't up my alley, I have found many great books from Flashlight Worthy recommendations, including others that were on this very list (for instance, The Shadow of the Wind). Yes, I still have faith in Flashlight Worthy. 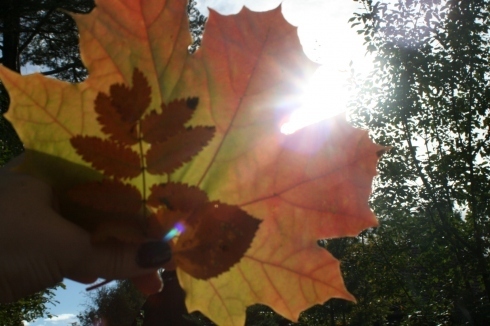 Today is the first day of autumn, the start of my favorite season. When I was looking for new mysteries/dark fiction to read for the R.I.P. Challenge I stumbled across The Secret of Lost Things on a Flashlight Worthy List Literary Thrillers for the Book Lover. The synopsis explains the book is "a literary adventure that captures the excitement of discovering a long-lost manuscript by a towering American writer and an evocative portrait of life in a bookstore very reminiscent of the world-famous Strand." In the novel, the bookstore meant to represent The Strand is named "The Arcade". So, The Stand is my all-time favorite bookstore and I knew had to immediately buy this book; fifty pages in and it is living up to it's potential. Here is a beautiful passage that uniquely captures the experience and abidance of The Strand. Understand, The Arcade itself is a city; itself, an island. 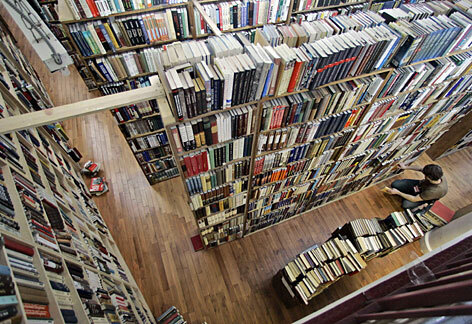 That bookstores are such places is always hoped for but The Arcade is like the original wish behind such hopes. The Arcade was population, mass, the accomplishment of a city. Books were stacked like teeming New Yorkers, invisible inside their buildings, but sensed as bees in a hive. The hum of life issuing from the crowds that filled the city I had begun to experience, but in The Arcade that buzzing life was made calculable in things. Chaps always told mother and me books were minds on the shelf. Here is seemed true, books didn't seem inanimate, a kind of life rose from the piles heaped on tables before me. Banned Books Week is September 25 - October 2 and the best way to celebrate is to read a banned book! (Or, if you're feeling really ambitious, check out what else you can do.) Banned book week celebrates our freedom to read and began in 1982 in response to an increase in challenges to books across America's libraries, schools and bookstores. Everything from contemporary literature to the classics have been challenged, namely for exploring controversial topics. I chose to read this book for the R.I.P challenge, a challenge that celebrates " things that go bump in the night; that favorite detective that always gets his man, or woman, in the end; that delicious chill of a creak on the stairs, of the rogue waiting in the dark, of the full moon and the flit of bats wings". I've been saving Treasure Island for this time of year and it turned out to be a fun read. First published in 1883, the novel details a young man's journey to Treasure Island aboard The Hispaniola. He is accompanied by other sailors, who are in search of a treasure, and eventually turn against one another to create a battle between good an evil - the evil which is represented by the carefree, reckless pirates who are in conflict with the virtuous and upstanding Englishmen. 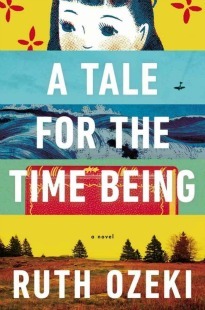 This novel is less of an adventure story and more of a "coming of age" narrative. We watch the young man Jim cry for his mother at the start of the novel and evolve into a hero by the close of the novel, developing a strong sense of self. I clung with both hands till my nails ached, and I shut my eyes as if to cover up the peril. Gradually my mind came back again, my pulses quieted down to a more natural time, and I was once more in possession of myself. As mentioned above, Stevenson also explores the relationship between good and evil and implies that they are inextricably linked together, as no one can be fully virtuous or fully immoral. Even those who seem intrinsically debauched can always have a layer of morality buried deep down, as demonstrated by Long John Silver. I'm happy I read Treasure Island but I've got to say I enjoyed Stevenson's later work, The Strange Case of Dr. Jekyll and Mr. Hyde (1886) much more. I'm not sure one is better than the other, it's just that the type of suspense and detail in the latter appeal more to me. Oprah began her final "farewell" season this Fall and tomorrow, she will announce her final selection for her book club. Everyone is wondering whether she will chose Jonathan Franzen's Freedom or Nelson Mandela's Conversations With Myself. Of course we all know what happened in 2001 when Oprah wanted Franzen's The Corrections in her club - Franzen wasn't happy, stating that Orpah "picked some good books, but she's picked enough schmaltzy, one-dimensional ones that I cringe". 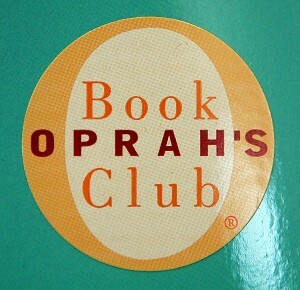 Of course Oprah is hugely influential in the publishing world. Not only have her book club selections made millions - some have gone on to be reviewed by the New York Times, sometimes as the cover story, and have been translated to the big screen. So, Mandela or Franzen? My vote is on Mandela. Update: I guess we don't have to wait until tomorrow. The AP says she picked Freedom. I wonder if we will hear anything from Franzen? The neighborhood, to our ears, seemed haunted by approaching footsteps; and what between the dead body of the captain on the parlour floor and the thought of that detestable blind beggar hovering near at my hand and ready to return, there were moments when, as the saying goes, I jumped in my skin for terror. This is the first book I chose to read for the R.I.P challenge because it's been on my TBR pile for quite awhile, I've been saving it for the Fall and because I loved The Strange Case of Dr. Jekyll and Mr. Hyde. I'm going to wait until I finish the book to voice any reservations, but so far I'm enjoying myself. Good choice for R.I.P! and created a Twitter account for this blog. I would love to follow all of my fellow book bloggers who are on Twitter so please leave me your username in the comments! I promise I'll follow! One of the judges for the Booker Prize, Andrew Motion, wrote an interesting piece in The Guardian that details the difficulties of choosing titles for the shortlist, let alone the winner. He also touched on a point that I feel is sometimes overlooked by readers: "Too many publishers publish too much. Not nearly enough novels get the editing they need. Some novels are so clearly manifestations of distress, they might be better described as "a frieze of misery" (in Larkin's phrase) than a work of fiction. But for all this, the second-rate books all felt worth reading (as a way of range-finding) and also valuable (as a way of fertilising the ground for those other and better books that rise above them)." I look forward to hearing who will win October 12th. Check out the list of past winners here. Today has consisted of book buying, opening presents, apple picking, and gorging myself with food. This is my second Sagan (after Bonjour Tristesse) and once again, she did not disappoint. In That Mad Ache we are introduced to Lucile, a young woman who finds herself torn between two lives; one that involves an older man, Charles who offers her the world - but who she does not love, and another younger man, Antoine, whom she is crazy about but must sacrifice her posh lifestyle to be with. Set in Paris in the 1960's, Lucile isn't a one-dimensional as she may seem, although she does exude characteristics of Scarlette O'Hara and Catherine with her detest for responsibility and refusal to grow up completely. 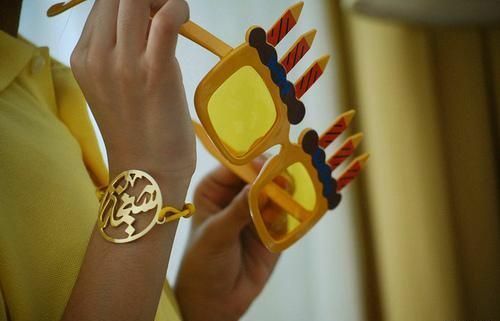 She is only interested in the present, neither dwelling on the past nor planning for the future. Was there anything left in this world that could still imbue childhood with some charm, after all the sad wailing of novelists, the obscure theorizings of psychoanalysts, and the fatuous outpourings of random souls encouraged to vent themselves on the theme, "When I was a child"? Only the nostalgia for those days of utter, absolute irresponsibility, now long gone. But for her (and this should would never have admitted to anyone), those days weren't gone at all. She still felt totally irresponsible. 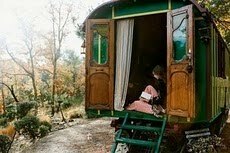 Of course leading this kind of life never goes unpunished, and Lucille finds herself having to chose between an easy life or that which she loves most. The story is altogether heartbreaking and hopeful, written in a didactic tone, and explores the conflict of passion and understanding. It is less a love story than it is a novel that examines the choices we make and their greater ramifications. But now she had a day and a half to make up her mind - and "prendre une decision" was among the most terrifying phrases in the entire French language to her. 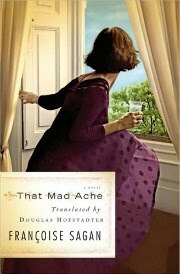 If you are looking for an interesting, straightforward read, I'd recommend That Mad Ache. However if you haven't read Sagan yet, I would suggest you start with Bonjour Tristesse. To learn more about Sagan herself, check out my earlier post Françoise Sagan, My New Favorite. "By the end of this year, 10.3 million people are expected to own e-readers in the United States, buying about 100 million e-books, the market research company Forrester predicts. This is up from 3.7 million e-readers and 30 million e-books sold last year. The trend is wreaking havoc inside the publishing industry, but inside homes, the plot takes a personal twist as couples find themselves torn over the “right way” to read. At bedtime, a couple might sit side-by-side, one turning pages by lamplight and the other reading Caecilia font in E Ink on a Kindle or backlighted by the illuminated LCD screen of an iPad, each quietly judgmental." 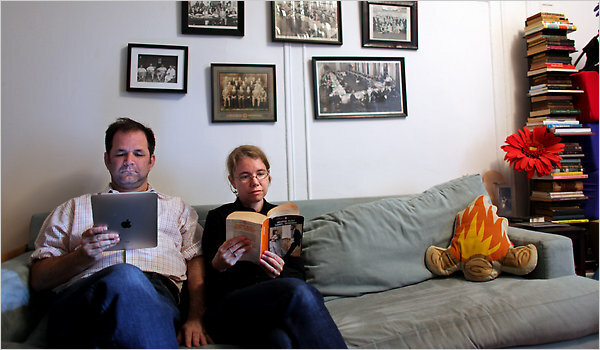 -Via The New York Times "Of Two Minds About Books"
It's time to replace sunshine with warm blankets. I'm really excited about this challenge! Mostly because Fall is my favorite season - hands down - and Halloween is in the top 3 of my favorite holidays. Anyhow, this is the 5th annual R.I.P. Challenge (Reader's Imbibing Peril) and is hosted by Stainless Steel Droppings. "It is time to celebrate things that go bump in the night; that favorite detective that always gets his man, or woman, in the end; that delicious chill of a creak on the stairs, of the rogue waiting in the dark, of the full moon and the flit of bats wings." Yes, yes it is! I will be participating in Peril the First: Read four books, any length, that you feel fits my very broad definition of scary. It could be Stephen King or Sir Arthur Conan Doyle, Ian Fleming or Edgar Allan Poe…or anyone in between. Enough cannot be said of the benefits, the dangers, and the power of shared laughter. It is no less central to love than are affection, desire, and despair. Earlier this summer I read Bonjour Tristesse and feel in love with Sagan. La Chamade is shaping up to be right on par with her earlier work. I started this back in June and am finished! Hosted by Coconut Library (now Unputdownables ) this challenge just asked it's participants to read 3,000 pages in three months. I liked this challenge because my reading tends to slow down in the summer and this helped keep me motivated. What: A challenge to get you reading all through the season. Why: So that you will have motivation to keep those pages turning! Where: On your couch, at the beach, on a plane or a train... anywhere you can read. Check back here to let us know your progress. We can keep each other motivated by doing it together! How: This season your goal is to finish 3,000 pages in the course of three months.